Pamper your tired hands with this decadent delight for an amazing pick-me-up. Enjoy being massaged with organic Apricot Oil and delight your senses with the delicious natural aroma. Your hands will be nourished after indulging in this beautiful hand treatment...Finishing with your choice of Eminence Organic Body hand cream that will appeal to your senses….that seals in moisture and brings rich color back to tired hands it’s been called the Instant rejuvenation for your skin! Hands are enveloped in a warm, intoxicating soak before you're buffed and polished ... completing this lovely spa treatment with a sweet smelling organic Apricot Oil to deeply quench the skin and cuticles, allowing your hands to absorb maximum nutrients, turning an everyday manicure into a luxurious experience. Then indulge your hands in a softening mask that nourishes and instantly boosts overall radiance with antioxidants and natural oils that locks in moisture. Finish with a relaxation massage allowing your skin to absorb the maximum nutrients, turning an everyday manicure into a luxurious escape with your choice of Eminence seasonal mask and lotion. Have the strong, thin, light and natural looking nails. It is hypo-allergenic and odor free. Great for all skin types and sensitivities. So natural, it’s hard to believe its gel at all. 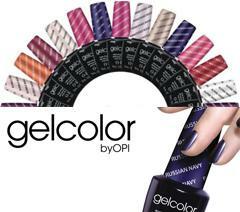 Our Gel Nail prices structure reflect a level system. Our service providers prices reflect their experience and level of education and personal growth. 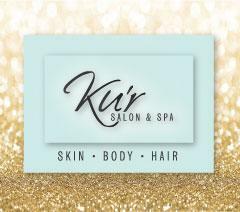 We have junior, intermediate and senior nail techs. Legs and feet dip into vitamin-rich soaking oils with a vibrant scent of your choice. To add this divine escape, a nutrient rich apricot oil massage will infuse your legs and feet with deep hydration and a luxurious scent. The sweet final includes a rich shea butter balm to heal and protect dry heels and toes, and an emollient Coconut Firming Lotion to leave you feeling like you visited the tropics! This decadent pedicure begins with a dreamy foot soak and intoxicating vitamin E and Rice Bran Oil Sea Salt scrub that will banish dead skin. Take a deep breath – and exhale - as a rich, softening mask of your choice is painted on, and left to nourish, instantly boosting overall radiance. Indulge in a natural, petroleum-free alternative to paraffin, warmed and infused with a rich blend of palm, soy, jojoba, and organic coconut oils, plus shea butter, vitamin E, and essential oils, your skin will leave feeling soft and supple. The cherry on top is a luxurious apricot oil massage to increase circulation and hydration, followed by a special heel treatment with shea butter balm. A decadent Coconut Firming lotion will seal in all nutrients and moisture to leave your legs and feet feeling renewed. Soak feet, choice of callus cleaning or cuticle work, file buff polish. 30 min.